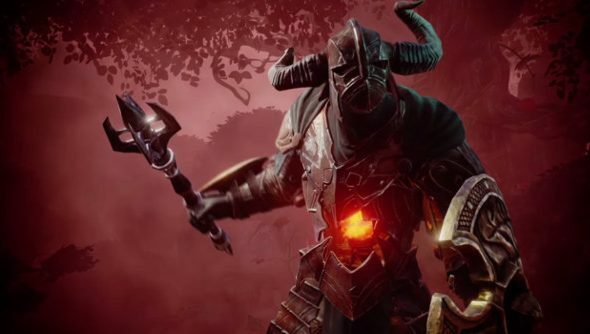 Microsoft showed off the latest trailer for Fable Legends during their E3 press conference, the free-to-play, cross-compatible PC and Xbox One game. The trailer was long on the vague menace and cheery fantasy motif that defines the Fable series, and short on details on what the game will actually be. Microsoft VP Kudo Tsunoda explained that the game will be free for Windows 10 players, and anything you earn on one system will carry-over to the other. Just in case you game on both Xbox One and PC. One intriguing thing about this trailer: are you playing the villains in this one? It’s “not the heroes’ story” this time around, so presumably you’ll be defending your realm against them. Because that’s kind of cool. Fable Legends is due out this holiday season.